↑ Ben Brown (12 November 2007). "Letter from Ho Chi Minh City A Tribute to My Vietnam Vet Father". CounterPunch. CounterPunch. http://www.counterpunch.org/brown11122007.html. Retrieved on 15 October 2012. ↑ Wendell Cox (22 March 2012). "THE EVOLVING URBAN FORM: HO CHI MINH CITY (SAIGON)". New Geography. New Geography. http://www.newgeography.com/content/002738-the-evolving-urban-form-ho-chi-minh-city-saigon. Retrieved on 15 October 2012. 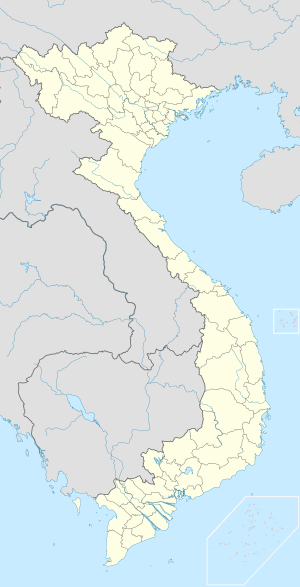 ↑ 5.0 5.1 "Viet Nam: Ha Noi and Ho Chi Minh City Power Grid Development Sector Project". http://www.adb.org/sites/default/files/linked-documents/46391-001-ieeab-04.pdf. Retrieved on 27 January 2015. ↑ "World Weather Information Service – Ho Chi Minh City". World Meteorological Organization. http://worldweather.wmo.int/082/c00309.htm. Retrieved on 5 September 2012. ↑ "Statistical office in Ho Chi Minh City". Pso.hochiminhcity.gov.vn. http://www.pso.hochiminhcity.gov.vn/an_pham/sltkcytphcm/30_so_lieu_thong_ke_chu_yeu. Retrieved on 3 April 2010. ↑ "General Statistics Office of Vietnam". Gso.gov.vn. http://www.gso.gov.vn/default_en.aspx?tabid=462&idmid=2&idmid=2&ItemID=9789. Retrieved on 4 October 2010. ↑ "Tong Cuc Thong Ke". Gso.gov.vn. http://www.gso.gov.vn/default.aspx?tabid=383&idmid=2&ItemID=13495. Retrieved on 2013-04-22. ↑ "Cục thống kê – Tóm tắt kết quả điều tra dân số". Pso.hochiminhcity.gov.vn. 4 January 2001. http://www.pso.hochiminhcity.gov.vn/an_pham/dansotphcmqua2cuocdieutra1999_2004/ttkqdtds. Retrieved on 4 October 2010. ↑ "CÁC ĐỊA PHƯƠNG NƯỚC NGOÀI ĐÃ THIẾT LẬP QUAN HỆ HỮU NGHỊ HỢP TÁC VỚI TPHCM". mofahcm.gov.vn. 9 October 2010. http://www.mofahcm.gov.vn/vi/hoptac_qt/nr041014110554/#2O2JGVsVDHhB. Retrieved on 8 January 2011.